History stories about Governors Island are presented until the Island opens on May 28. I had a lot of material that would not fit into The Governors Island Explorer’s Guide. 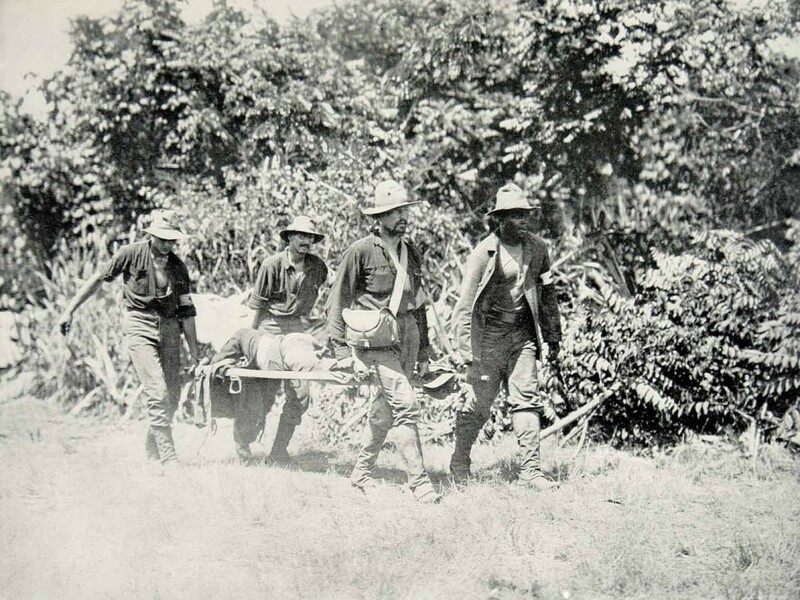 This tragic story about an Army officer from the Island, sick and dying during the Spanish-American War in 1898, is a lost story that I came across. It says as much about courage as it does the ill-prepared medical corps. One-hundred seventeen years ago Benjamin Hidden Gilman, West Point Class of 1872, died with his wife and son at his bedside on Governors Island. The little family was in their house in one of the officers’ quarters. Perhaps it was one of the yellow homes that are still standing on Nolan Park, or one of the brick houses on Regimental Row. At the time, the Island was less than seventy acres, the post was still named Fort Columbus, and America was just starting to come to grips with the casualties of the war in Cuba. The Thirteenth Infantry Regiment sailed from Governors Island to Florida, and then to Cuba, where it took part in fighting in July 1898. This article from a local New York City newspaper has not been edited or changed. The Sun, Wednesday, July 27, 1898, page 3. Capt. Benjamin H. Gilman, Company B, Thirteenth United States Infantry, died at his residence on Governors Island, shortly before 3 o’clock yesterday afternoon. The cause of death was dysentery, aggravated by malarial fever, both contracted in Cuba. Capt. Gilman was about 47 years old and leaves a widow and son, 13 years old. As soon as Capt. Gilman’s death was reported at post headquarters, all the flags on the island were lowered to half-mast. Capt. Gilman’s is the second death among the officers who marched away from Governors Island with the battalion of the Thirteenth Infantry at the beginning of the war. Capt. 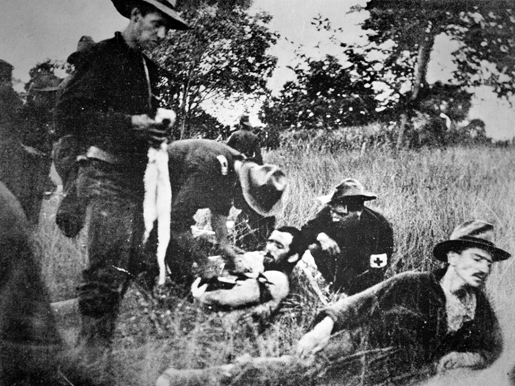 Fornance was killed in the fight at San Juan Hill. 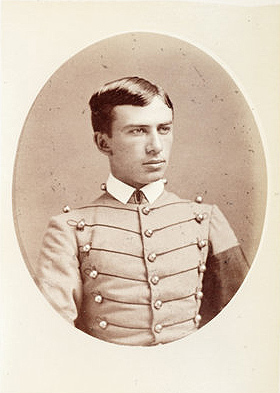 Benjamin H. Gilman, U.S. Military Academy, West Point, class of 1872. Capt. 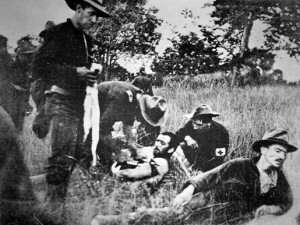 Gilman was not a robust man and shortly after the regiment reached Cuba he was attacked with camp dysentery, said by physicians to be more deadly than the yellow fever of Cuba. Although in no condition to do so, Capt. Gilman was at the head of his company at the beginning of the fight on the morning of July 1. Twice while leading a charge he fell from weakness. This was noticed by Gen. Worth, who commanded the brigade, and he ordered Capt. Gilman to the rear. The Captain pleaded with Gen. Worth, who was then Lieutenant-Colonel of the Thirteenth, to be allowed to remain on the field, but Gen. Worth insisted. Capt. Gilman worked his way slowly to the rear. He went as far as he could then sat down to rest. What happened to him after that, until he was put aboard the hospital ship Relief at Siboney, may never be fully told. After he got home Monday he was too weak to tell much of the story, but some of his experiences were those another officer who was brought up on the Relief, and a little of what Gilman suffered has been told by his comrade. And so the two men lay down in the chaparral, with nothing under them but the wet ground and nothing over them but the sky. They had no food of any kind and there was no way to get any. They lay there in the bushes for two days before they got anything at all to eat. Then some soldiers in passing saw them, and gave them some soup made of beans that were raw, a little hardtack and some coffee. The soup they couldn’t eat, and they were in no condition to keep hardtack or coffee on their stomachs. Two more days passed, and then the officers lost each other in the thick overgrowth. The other officer lay in the chaparral for two weeks, getting food from soldiers he could occasionally hail as they passed. It was supposed by his family here that he was dead. How Gilman was finally taken where he could get some care or how long he lay out in the bush may never be known. Mrs. Gilman knew nothing of his whereabouts or his condition and could not get information. The first news she got, after she saw in the papers that he was either sick our wounded, was when she saw that he was among the passengers on the Relief. A little more than twenty-four hours after he reached home, taps sounded. Capt. Gilman was appointed to West Point from New Hampshire in the fall of 1868, and was graduated on June 14, 1872. He was made a Second Lieutenant of infantry in the regiment to which he was attached when he died. He got his First Lieutenant’s commission on June 13, 1878, and was made a Captain on Feb. 24, 1891. Soon after his death, Capt. Gilman’s remains were brought to the U.S. Military Academy at West Point. He was buried with full military honors in the West Point Cemetery. His widow, Katharine, was buried next to him in 1941. Alongside them is the grave to their infant son who died in 1880. After his death, Capt. Gilman was posthumously brevetted to Major “for meritorious service in presence of the enemy, Santiago de Cuba, July 2, 1898.” The Army named Camp Gilman outside Americus, Georgia, in his honor in November 1898. There are many spots on Governors Island that are tied to the Spanish-American War. Capt. Gilman’s story is one piece of more than two hundred years of Army life on the Island.